Rachel Davies is the co-author of Agile Coaching, written in conjunction with Liz Sedley, which was published by Pragmatic Programmers. 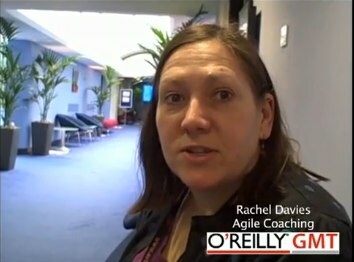 Rachel is a director of the Agile Alliance and the Principle Agile Coach for Agile Experience. I spoke to her at QCon about her book, about Agile Development, how Agile Coaching works and why Agile Coaches are in the business of working themselves out of a job. If you’re in Oxford region, Rachel is speaking at ACCU tomorrow (Friday 16th April 2010) about Understanding User Stories.